Selling your property may be the largest business transaction that you ever make. 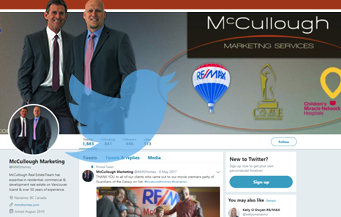 The selling process can be very complex and time consuming; however, with McCullough Marketing Services we will provide professional real estate guidance throughout the sale process. Here is a general overview of what will be done to get your home sold fast and for the most money. We will immediately process and submit to the Multiple Listing Service (MLS) as well as email your property details to our database of clients looking for similar properties. A professional photographer will take “perfect” digital photos of your property for the MLS, feature brochures and Internet websites. As well, we will engage a professional to draw an accurate floor plan of your property if required for a larger development or a unique home design. Being the largest and most successful real estate company in Nanaimo, we are able to get great exposure from our Weekly RE/MAX of Nanaimo Real Estate Tour of new listings. All of our Realtors are able to preview hot new listings, and many properties are sold as a result of a Realtor viewing it on the tour. Your property will be featured on www.remaxofnanaimo.com, www.nanaimo-real-estate-for-sale.com and www.mmshomes.comwhich average over 20,000 hits per month. Our websites are consistently top ranked websites on Google searches, so that your home is seen first before the rest. Websites feature professional photos, custom floor plans and mapping functions so that buyers can envision themselves in the property before they get in the front door. Our RE/MAX brand is one of the most recognized brands in the entire world and our signs ensure that your property receives the highest level of exposure. When buyers inquire on your property, they can speak directly to Brian or Myles.